Bracket and EGR block-off plate. 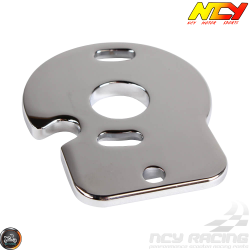 Description: PCV block off plate used for removing PCV system on GY6 engines. Most GY6 scooters have sub-par PCV systems often causing massive vacuum leaks that lead to poor performance. 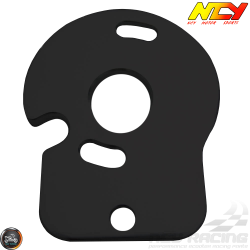 When installing this block off plate, it is highly recommended you purchase one of our case vent tubes. You will .. 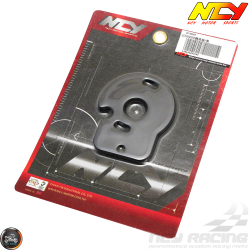 Description: Rear shock relocation brackets move the upper or lower mount of your shock. Required when lowering or stretching your scooter. This is constructed of an anodized silver billet body and has fair extended length. Give your scooter the aggressive stance it deserves with this silver bracket.. 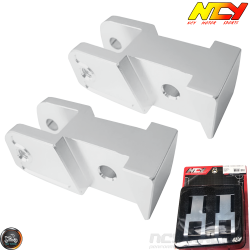 Description: Rear shock relocation brackets move the upper or lower mount of your shock. Required when lowering or stretching your scooter. This is constructed of an anodized silver billet body and has fair extended length. Give your scooter the aggressive stance it deserves with this silver bracke..